A trip to the farmers market recently yielded a wonderful delight. Some of the most beautiful squash blossoms. 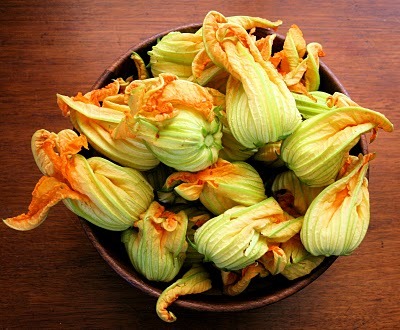 Whenever I see a squash blossom I always think of a beautiful delicate flower, yet so many of the dishes for squash blossom call for them to be stuffed or deep-fried. 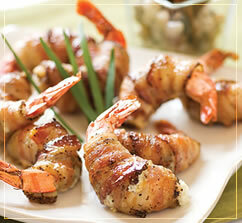 Bacon Wrapped Apricot Shrimp – Yes, please! I have often said that bacon makes everything better. Combine it with shrimp and how can’t go wrong. But could it get even better? 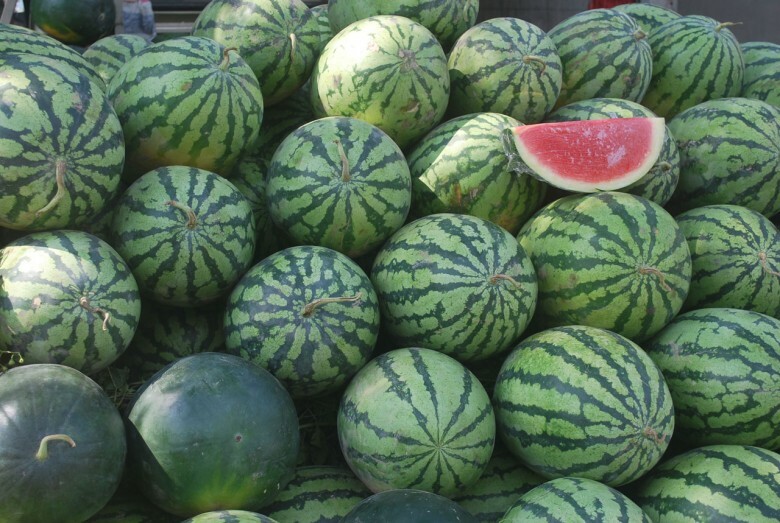 When I think of the summers of my youth I think of hot summer days and wedges of cool, refreshing watermelon dripping down my chin. It’s harvest season—eat the bounty!